May 15th, 2018. It’s a glorious day, the sun is shining and I’m sitting in the passenger’s seat of Maizy Madza, driven by my good friend Jo. We’re starting out on a two-week whisky tour, me being the designated drinker. The scenery is grandiose. Driving along small roads, following the directions of the lady living in my phone, I get to enjoy the beautiful Scottish countryside, wide fields, soft hills and glens. Suddenly, seemingly out of nowhere, a distillery appears. 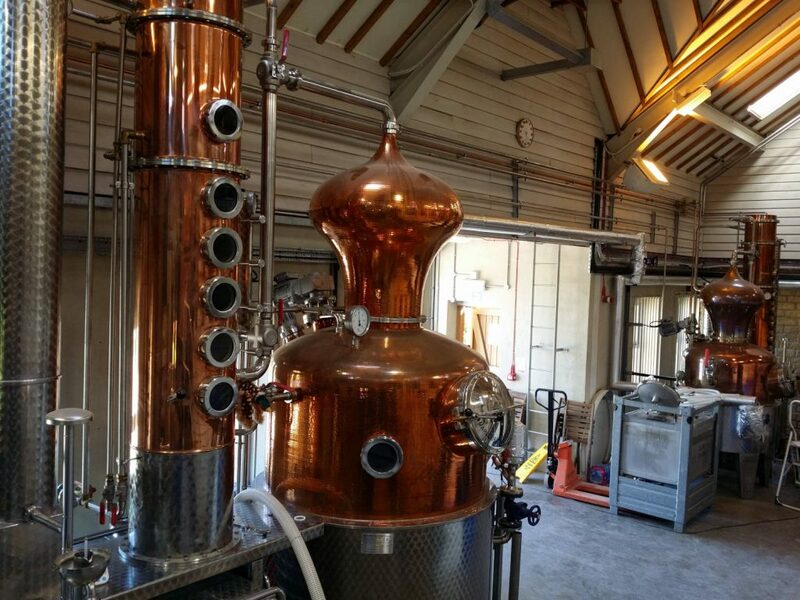 “Cotswolds distillery”. Hang on, Cotswolds? That’s not in Scotland?! Indeed, we are in the heart of England, where Daniel Szor founded a distillery just a couple of years ago – 2014 to be exact. I’ve been following the distillery since its inception – and today would be the day I’d finally get to visit it. We are met by “the man” himself – Dan Szor. He used to be in the financial trade but if you didn’t know, you couldn’t tell. An instantly likeable, charming man, with a sense of “real” honesty, friendliness and openness surrounding him, unbothered by corporate rules and scripted talk. The kind of man you can talk with for hours – which is exactly what Jo and myself are about to do! 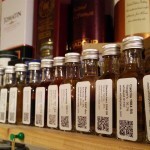 Every distillery needs revenue streams early on – three years is a long time to wait before you can legally sell your first whisky. 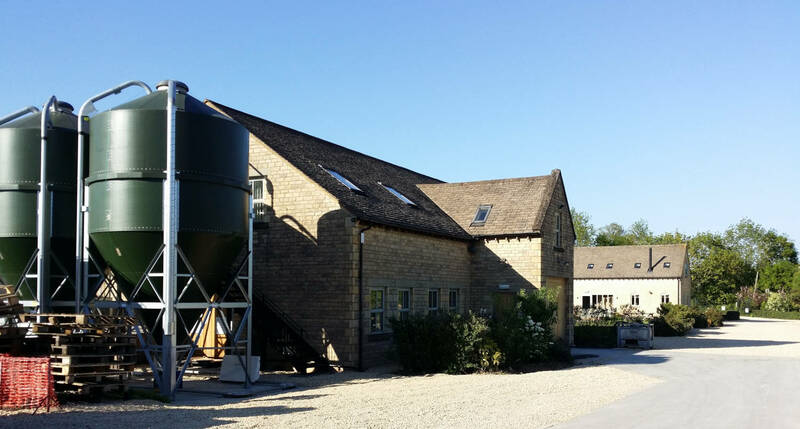 In the case of the Cotswolds distillery they have an impressively big spectrum of spirits they’re producing – all in one production building. On the day of our visit alone they made whisky, gin (of which they sell 100k bottles / year) and rum. Yes, rum. In actual fact it is the first day they produced rum, with rum legend Michael Delevante being on site to dial in the final recipe. 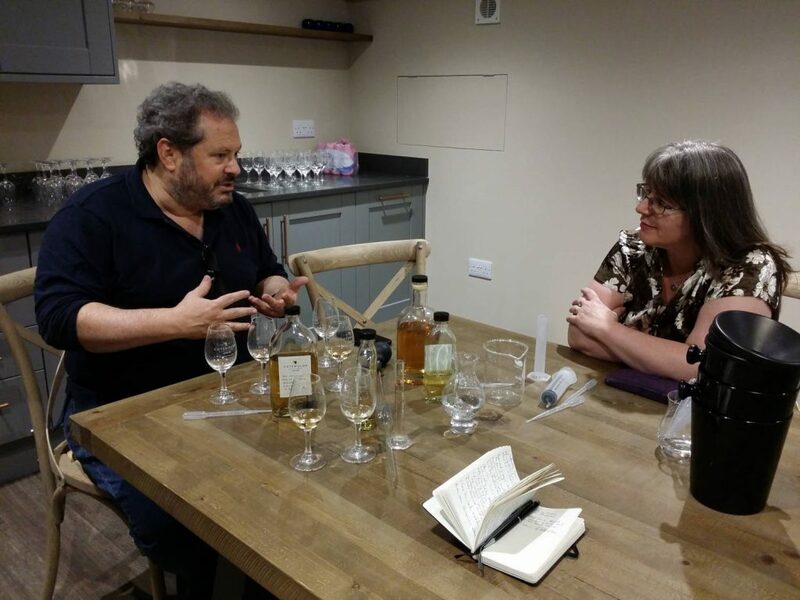 Now there’s something interesting about a rum distiller asking a whisky blogger about his opinion on the distillate in a triangle test. My opinion, you ask? Well, it’s just the end of day one out of three days of testing different parameters but the spirit was already quite promising. 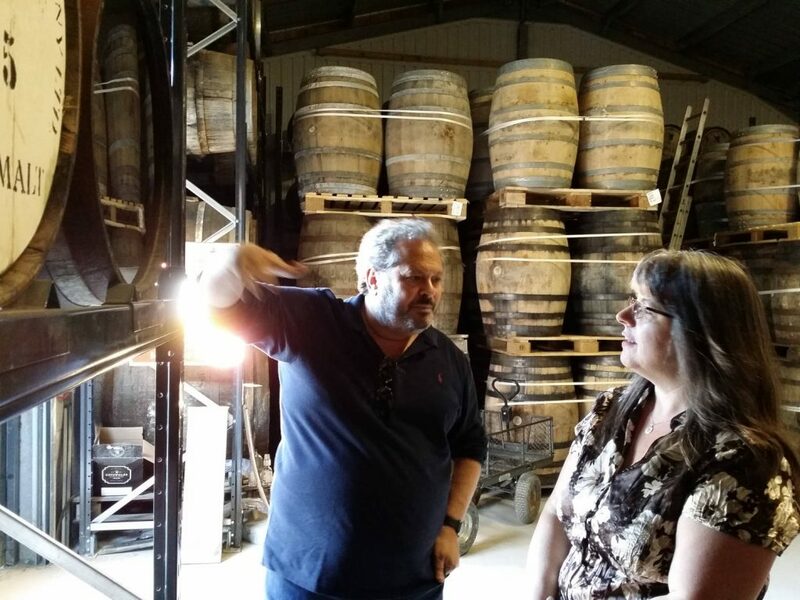 Dan mentions to us they are looking at maturing it in small, sherry-seasoned casks (125 litres). 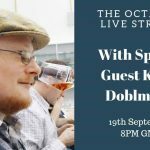 Right, since this is a whisky blog after all, let’s get to the main star of the show: The whisky – and the reason you could think you’re in Scotland. 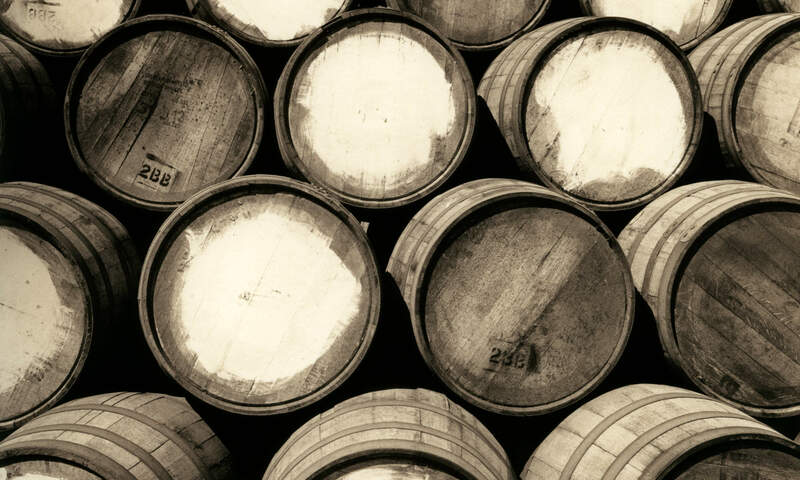 They’re producing whisky just the way it should be made – in my humble opinion. 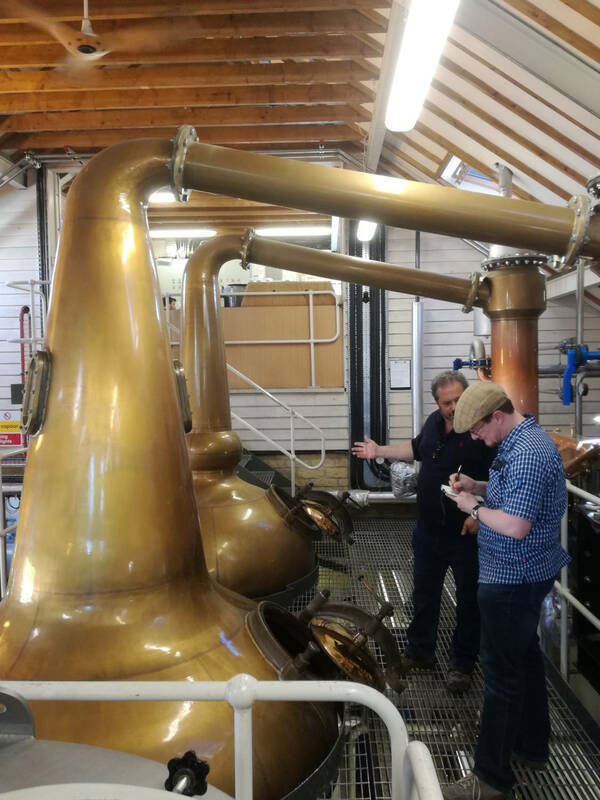 The stills were made by Forsyths in Scotland, taking 2500 litres per wash charge and 1400 litres per spirit charge, producing about three barrels worth of spirit per day. Dan goes on to explain their mash is made of about 500 kgs of barley per batch, sourced locally in the Cotswolds and floor malted at the Warminster maltings. If you’re going through all that trouble of sourcing local ingredients – and the expensive floor malting process, it would be a shame to rush fermentation, so they’re giving it four days to fully develop a very fruity profile, something I absolutely approve of. You can really tell the influence the late Dr. Jim Swan had on the concept behind this whisky. Moving from the production areas, Dan leads us into the brand-new building housing the tasting- and sample rooms on the upper floor. This is the moment of truth – getting to taste what they’re producing next door. 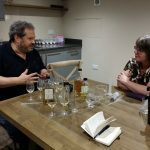 As it is the case during the entirety of the visit, Dan is honestly interested in feedback and the impromptu (again, fully unscripted) tasting turns into a long discussion about casks, styles, maturation and blending. 40% of their production (overall about 2300 casks so far, as of May 2018) is matured in first fill bourbon barrels. We also get to taste whisky (or, rather, spirit) matured in casks which previously held Port, Moscatel and ex-peated whisky, with the “good old” bourbon casks best suiting the fruity, oily style of the distillate. One particular ex-bourbon example, one of the oldest casks, already showed a very good profile, rounded with no roughness anymore. Stating our preference for the ex-bourbon style Dan reveals they’re tinking about upping the percentage, something I can wholeheartedly agree with. Our visit is slowly coming to an end. Most of the workers have gone home for the night, but Dan has one more surprise for us. While taking a look at their holding warehouse (the whisky is not matured directly on site) he pours some new make. Tasting new make always makes me feel like a kid on Christmas eve – the unadulterated spirit, no matter if tasty or not, is always interesting to try. But, wait, what’s that? Oily, extremely fruity and utterly delicious. Hands down the best new make I’ve tried so far. 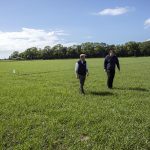 “That’s 100 yo heirloom barley, Plumage Archer from Highgrove” Dan reveals, once again proving me right that the barley variety does seem to have an impact, at least in its unaged state. That’s the first of the 2018 whisky adventures on the Jo & Klaus road trip behind us. 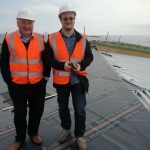 I’m writing these articles in a slightly different way from the previous years – I hope you enjoy the new style. As always, leave your comments and suggestions below. 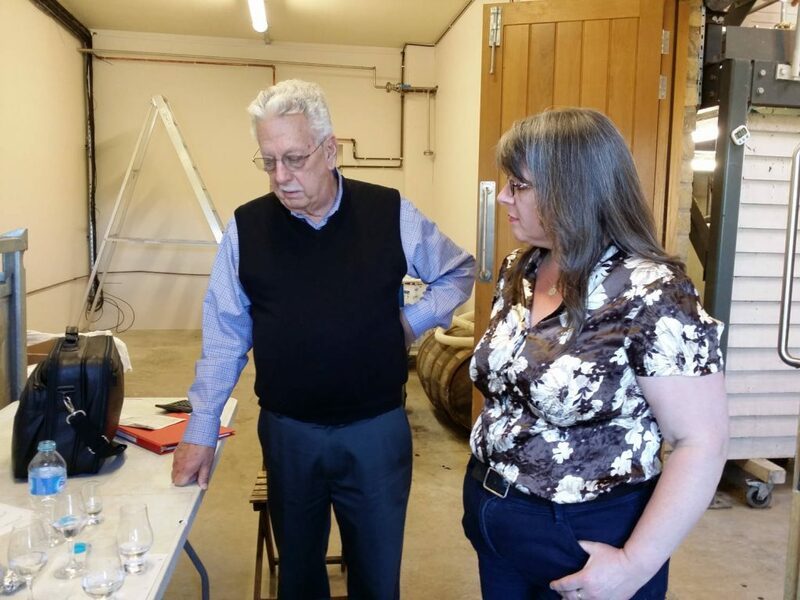 This personal tour of the Cotswolds Distillery was provided free of charge. No other form of compensation was provided and as always full editorial control was retained by myself.